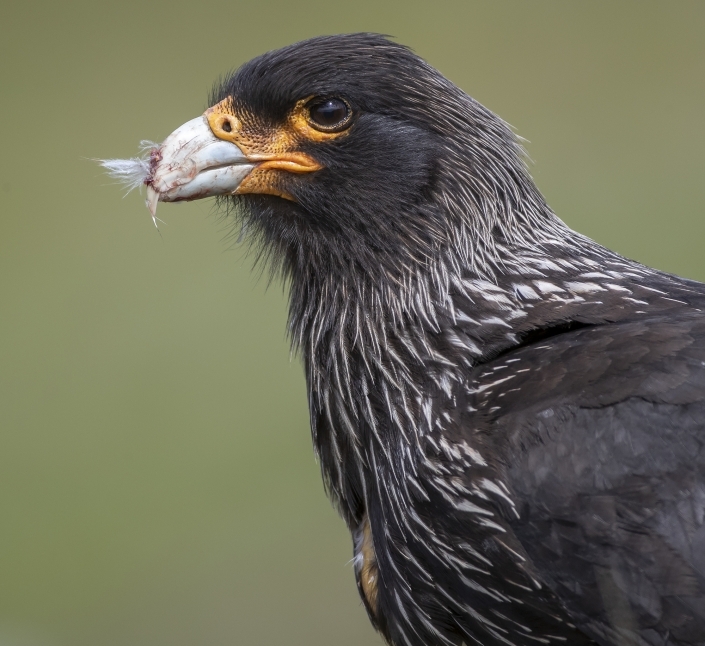 is a bird of prey of the family Falconidae. In the Falkland Islands, it is known as the Johnny rook, probably named after the Johnny penguin (gentoo penguin), one of its preys. 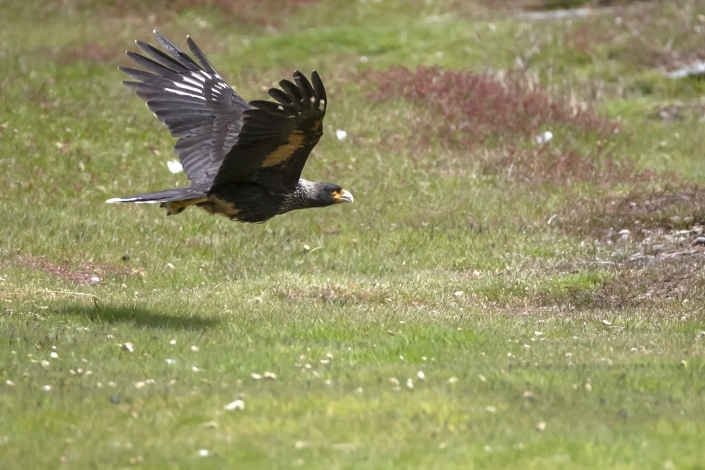 The adults’ plumage is almost black in colour, while the legs and lores are orange and the neck is flecked with grey. The first-year juveniles have an orange or light red down, which they lose after their first molt. 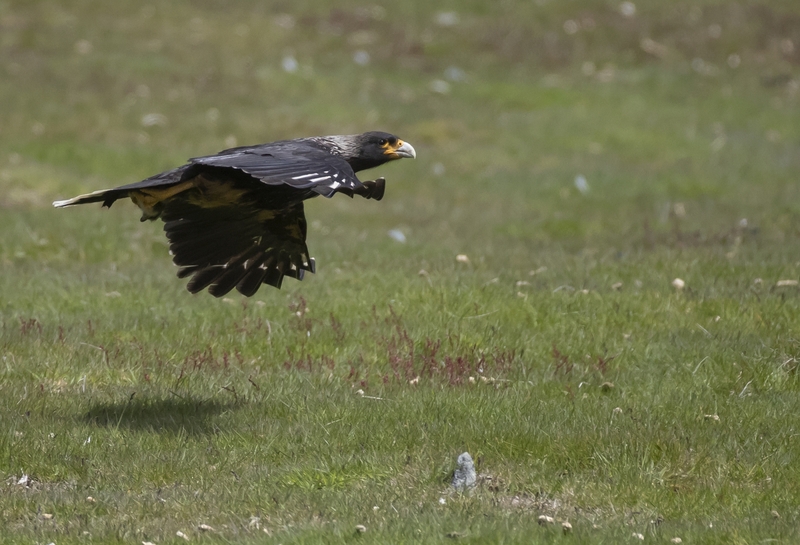 Full adult plumage is acquired only in the fifth year. 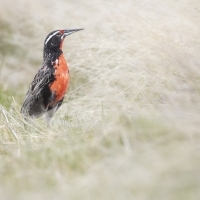 It breeds in several islands in Tierra del Fuego, but is more abundant in the Falklands. 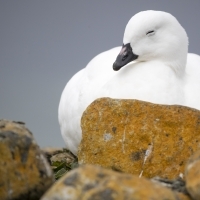 Though it was once considered common in the Falklands archipelago, it now only nests in the outlying islands where it breeds around penguin and albatross colonies. 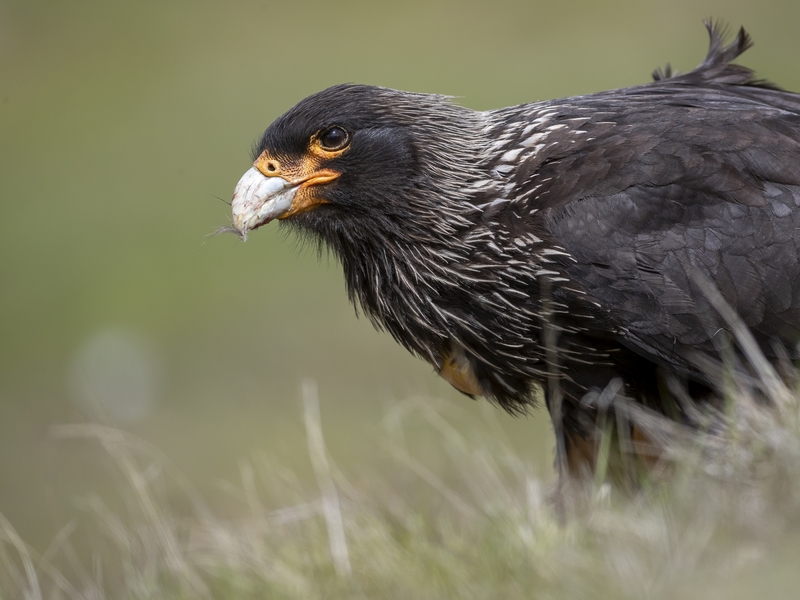 The striated caracara is primarily a scavenger, feeding on carrion, mainly dead seabirds and dead sheep, offal and food scraps. It occasionally takes insects and earthworms that it digs up with its claws. However it will also prey on weak or injured creatures, such as young seabirds. Its habit of attacking newborn lambs and weakened sheep has led it to be ruthlessly persecuted by sheep farmers. Often it is known to steal red objects such as clothing or handkerchiefs, possibly because red is the colour of meat. Like all falconiformes, it has excellent colour vision, which easily surpasses that of any known mammal. Often it will also raid dustbins and move rocks to get food from underneath, thus proving themselves to be one of the most intelligent of the birds of prey. The population in the Falklands is estimated at 500 breeding pairs. Juveniles and indeed, adults, are almost entirely fearless of humans and treat their approach with indifference. Over time, conflict with the sheep farmers has led to a great reduction in their numbers. This is now being corrected by the Falkland Islanders.